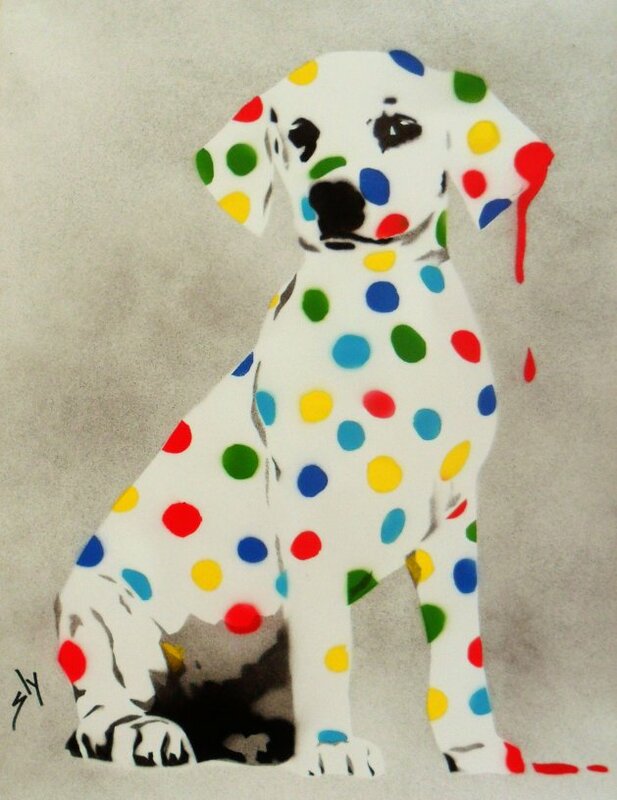 Damien\’s Dotty, Spotty Puppy Dawg on paper + FREE poem. Street art in your own home by Cult Artist Sly. These are not prints as each is individually done and signed to order and consequently vary a little from the illustrated picture. These paintings are sprayed onto plain paper and are ready to hang with crossbars and nails.